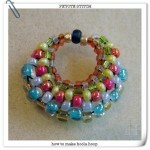 Many of us love to do bead-weaving, and peyote stitch in particular, because of its meditative nature. The gentle rhythms of peyote stitch, along with the little mantras, or sayings, that we repeat to ourselves as we stitch are so soothing and calming, it’s no wonder that so many people consider bead-weaving to be a great form of stress relief! 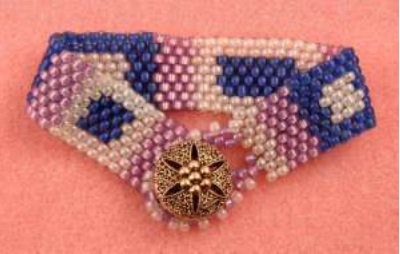 Peyote Stitch is a wonderful beading stitch. Its versatility can lead to various creations. 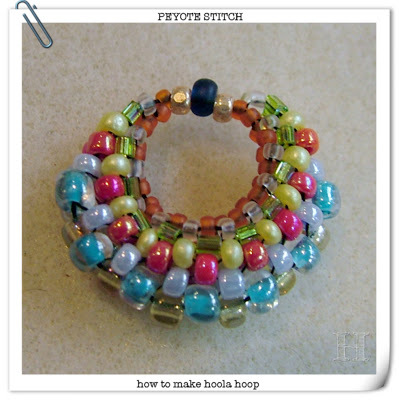 Actually, Peyote Stitch may be difficult at first, but if you know the basic, immediately you can do wonders with it. First, you got to learn how to weave Peyote Stitch and to start off, this Even Count Peyote Stitch FREE PDF copy from Unique You is a great starter. Personally, I’m a big fan of a thread-loop turnaround (see below). Or, if I feel the thread is building up on the side of the beadwork, I’ll occasionally throw in a square-stitch turnaround. However, a project by Pamela Kearns in the June/July issue of Beadwork reminds me how great figure-eight turnarounds can be. My very first amulet bag was made with peyote stitch, with a couple of tiny loops of fringe on the bottom for good measure. I worked it up from a charted peyote stitch pattern, and I was quite pleased with it. 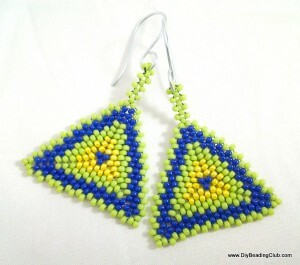 I even made a pair of huge peyote stitch earrings to match! I remember thinking, hey, this beadweaving stuff is pretty easy! How To: Make A Peyote Stitch Flower Ring.